Amazon Prime Video is raising the bar when it comes to movie to television adaptations. Last year’s Jack Ryan series surpassed our every expectation, and because of that, we are looking forward to the upcoming second season. 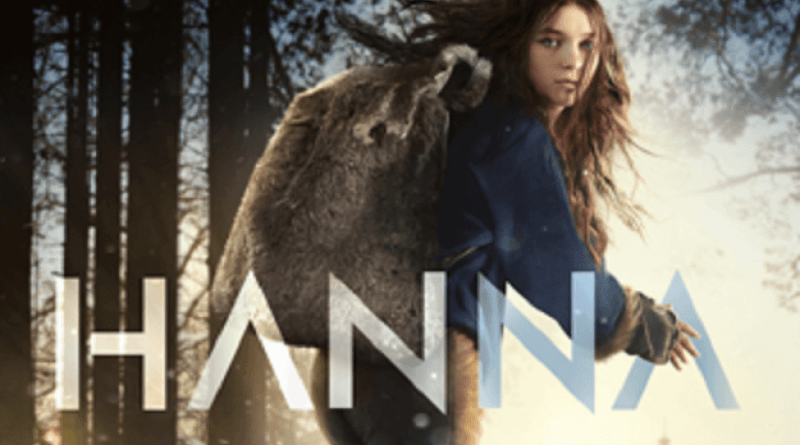 Amazon’s latest adaptation venture is Hanna, which premieres Friday, March 29th on Amazon Prime Video, and it is based on the 2011 film of the same name that starred Saoirse Ronan and Cate Blanchett. For those who are unfamiliar with the premise, the story centers on a girl who was taken from a secret program in order to be raised as an assassin by her father. Yet not everything is as it seems for our young assassin. The truth begins to come out. As for this new series itself, newcomer Esme Creed-Miles takes on the role of Hanna and this new take will follow that same premise. Yet, according to THR’s interview with Creed-Miles, the series version of Hanna will be a bit more ‘grounded’ compared to the movie version. We watched the pilot episode after Amazon Prime aired it exclusively after Super Bowl LIII, and we were quite impressed. Yes, the story starts off exactly like the film, although we were very happy with the casting selections, and even though Creed-Miles may have huge shoes to fill, we feel that she is perfect for the role. She was fantastic from what we saw! There’s also a special reunion of-sorts going on due to Mireille Enos (World War Z) and Joel Kinnaman (Suicide Squad) both being in Hanna. They previously starred together in the critically acclaimed series The Killing. In viewing the pilot episode of Hanna we were also drawn in by the locations and sceneries. These elements can help breathe another level of authenticity to the story, which should strengthen the series a bit more, in our opinion. Overall, we are particularly happy learn that the series was filmed entirely on location in Hungary, Slovakia, Morocco, Spain, and the U.K. It’s very similar to what Jack Ryan does in this regard, and by doing so, that series feels authentic. Overall, we recommend adding this new series to your watchlist. when it debuts on March 29th on Amazon Prime Video. For more about the series click here.